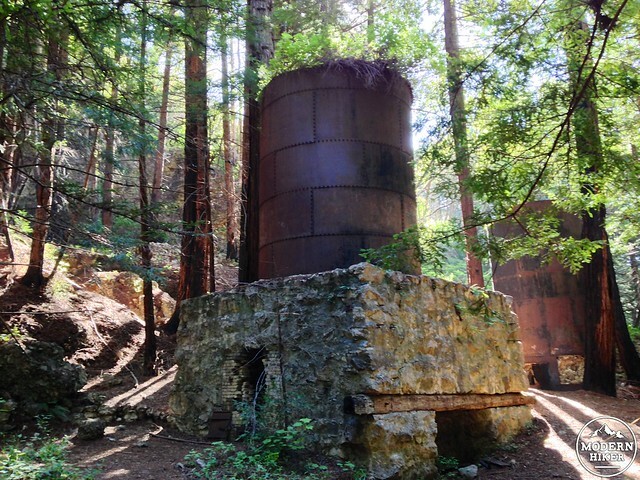 When I was initially doing some recon on places to visit during an extended camping trip through Big Sur, a few friends highly recommended little Limekiln State Park – a 716 acre slice of Big Sur just outside the Ventana Wilderness. I’m glad they did – because on paper this park doesn’t look like much of a destination. 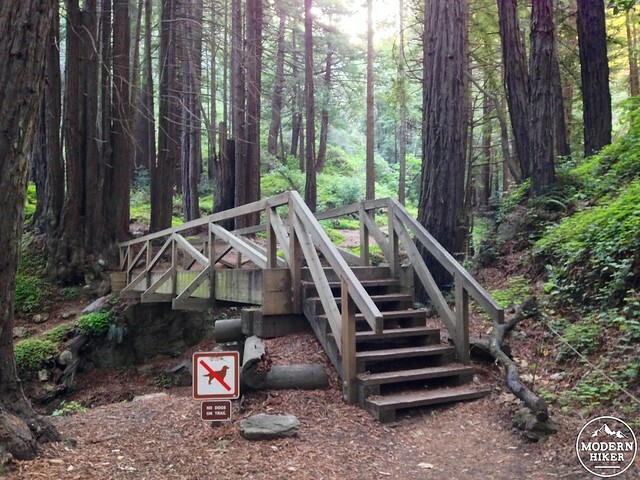 Hiking all of the trails here only puts 2.3 miles on your boots (an extended spur connecting to the California Coastal Trail was closed for repairs). There is only developed camping and it’s a little on the pricey side … but I made a last minute decision to stop here on my way back home to Los Angeles and I am incredibly glad I did – Limekiln ended up being the most beautiful place I’d seen in Big Sur … and if you’ve been to Big Sur before, you know that’s saying something. When I stopped in I was able to snag the last unreserved camp site and save myself a boring drive in the dark. 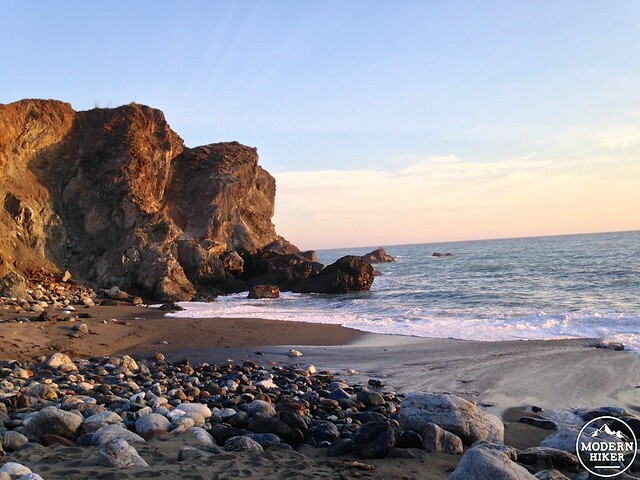 After I got my tent set up and cooked up a little dinner, I walked underneath the PCH and found myself right on the coast – a perfect place to watch the sun set behind the Pacific and listen to the waves roll in. 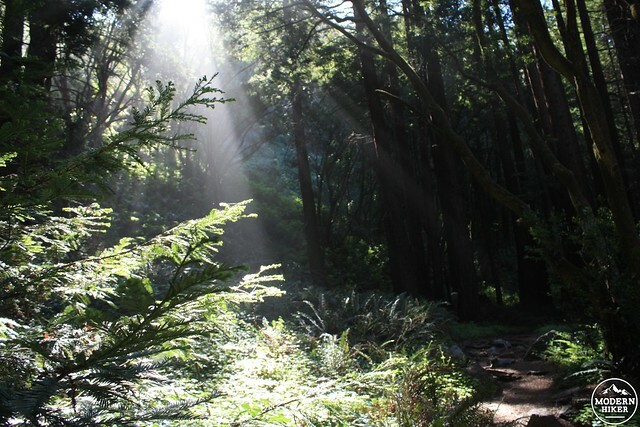 After a very restful sleep surrounded by the crashing Pacific waves and gentle gurgling of nearby Limekiln Creek, I woke up early in the morning to tackle the park’s network of trails. 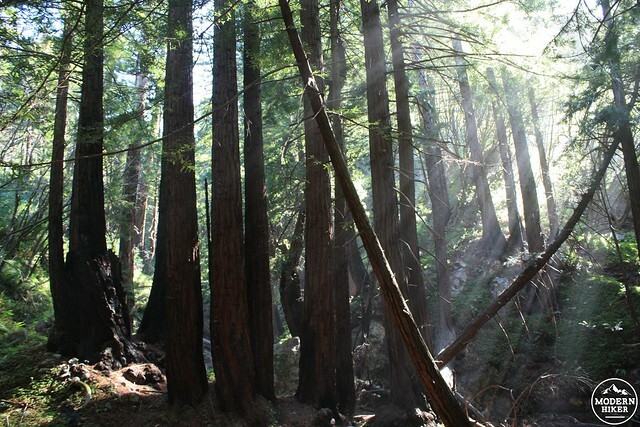 All three spur trails are accessed from the same trailhead, which lies at the northeastern end of the paved road beyond the Redwood Campsites. Walk past the idyllic tents and cross a wooden footbridge to get started. You can do these trails in any order you’d like, but I chose to do the Hare Creek Trail first by keeping right on the other side of the footbridge. 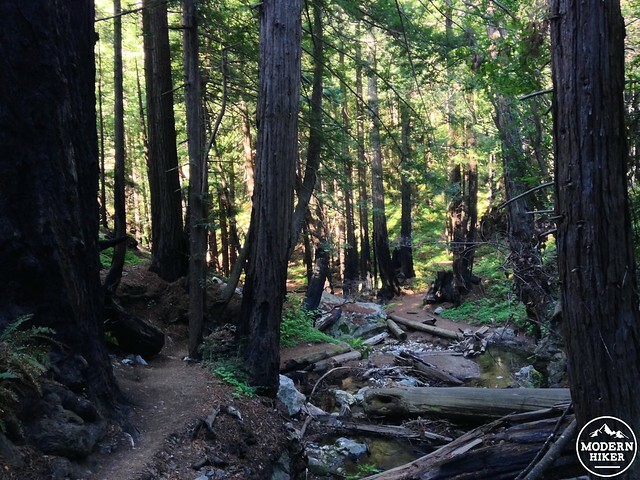 This lovely stretch of trail follows a mostly flat grade alongside Hare Canyon Creek, meandering its way across soft forest duff, passing beautiful redwood groves and crystal clear water along the way. 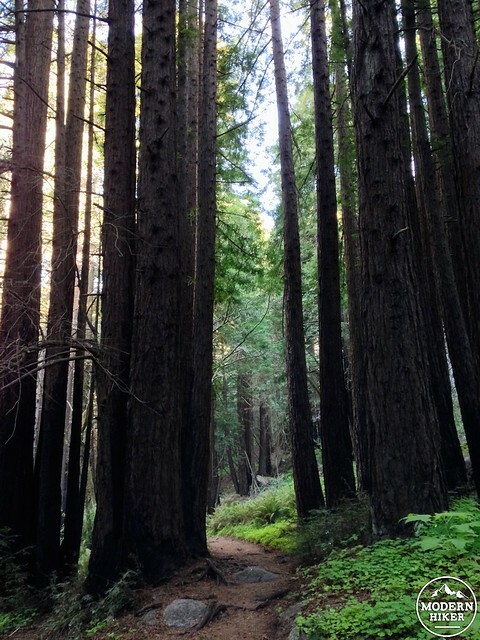 It’s a simple but beautiful trail and will definitely assuage any fears you might have about “wasting your time” on a short route. 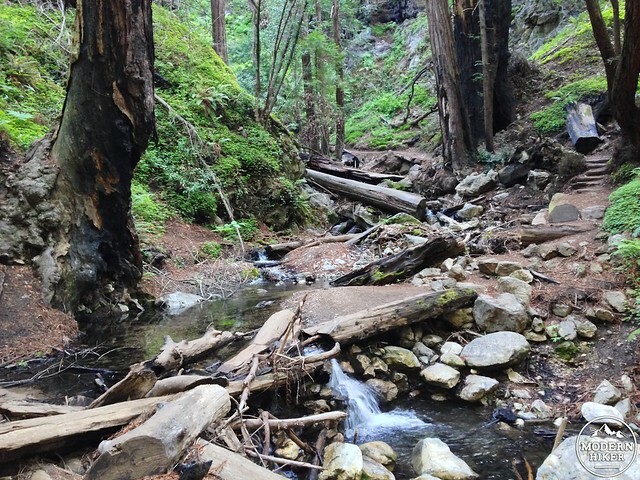 At the half mile mark (starting from the campground), the Hare Creek Trail abruptly ends at a downed burnt log with a sign that simply says “End of Trail.” Turn around and backtrack to the trailhead, where you’ll now keep hiking onto the Limekiln Trail. 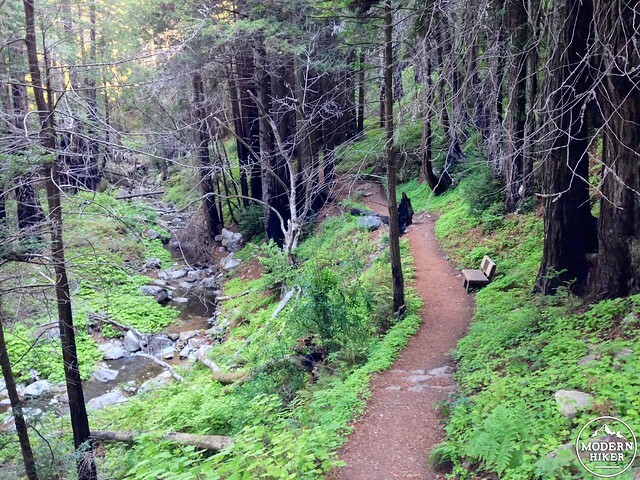 This route heads north along Limekiln Creek through a forest so dense it’s unbelievably reminiscent of Endor. There are a few benches along this path, set in peaceful and contemplative sites. 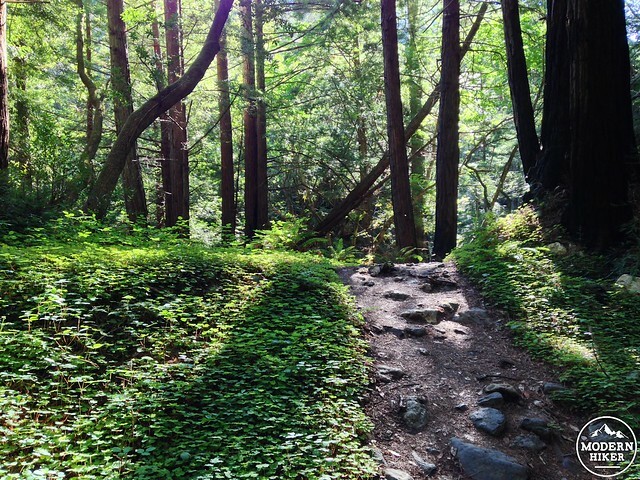 At around the 0.9 mile mark, there’s also a small redwood grove with a wonderful John Muir quote. 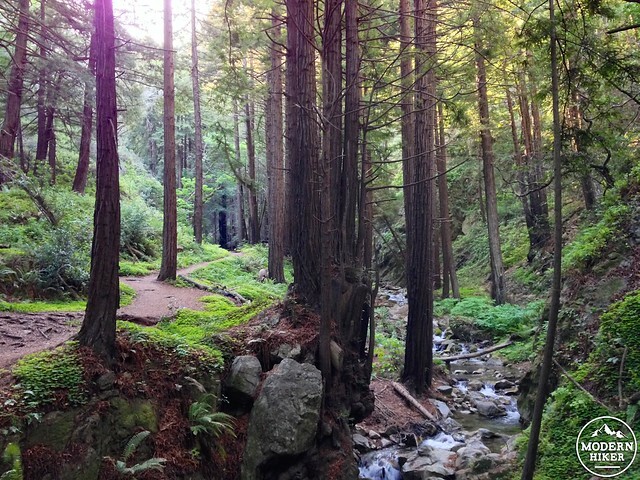 Just across from the grove with the Muir quote, hop across Limekiln Creek to head on the short but fun Falls Trail. This little side route crosses the creek several times – sometimes at boulder hops, other times at log crossings, and maybe a time or two when you’re just gonna have to make a leap for it. If the water is high, you’ll probably get your feet a little wet – but don’t worry. 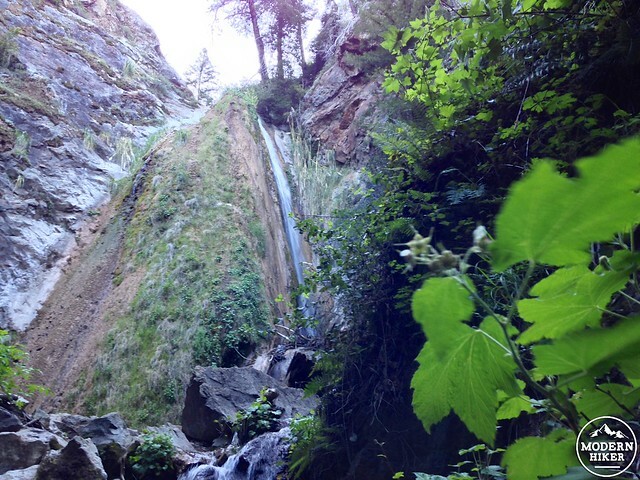 In just a short 0.2 miles you’ll be at the base of a lovely 100-foot cascade. 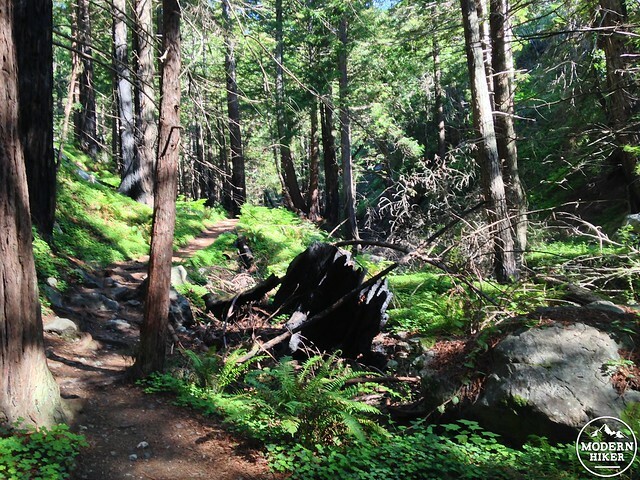 Backtrack again and continue northwest on the Limekiln Trail. This trail makes its way through more beautiful creekside forest before squeezing into a rocky section right near the edge of the creek. After this, look to your right – and you’ll be stunned by the sight of four large, old limekilns. 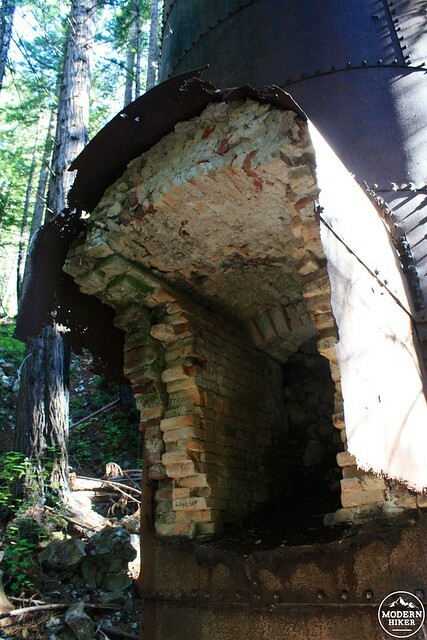 The Rockland Lime and Lumber Company built these kilns in 1887. 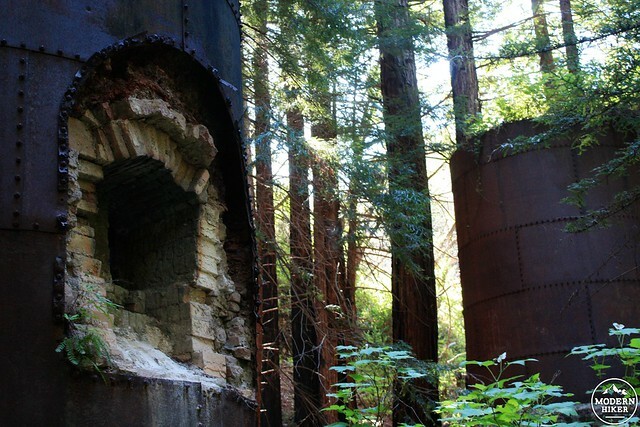 They harvested nearby limestone and burned them down to lime in the kilns, which they then transported through the canyon to the coast by wagon and shipped north to San Francisco, where it was used in some of the city’s earliest mortar buildings. 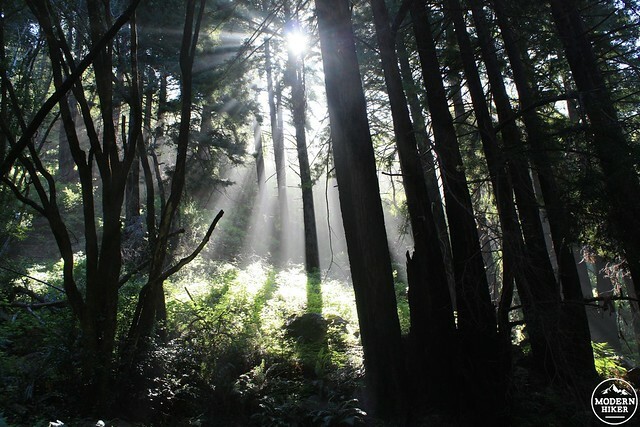 The operation only lasted a few years after the company depleted the limestone deposit – as well as large swaths of the redwood forest. 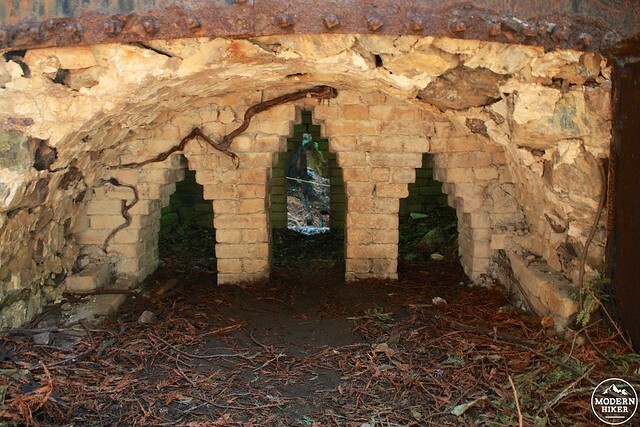 Today four kilns still stand, along with an old retaining wall. Although here are ropes set up to prevent you from scaling or climbing inside the kilns, you can get pretty close to them. There is some excellent masonry to check out and you can even see some of the names and dates stamped on the bricks. When you’re done, head back the way you came in. 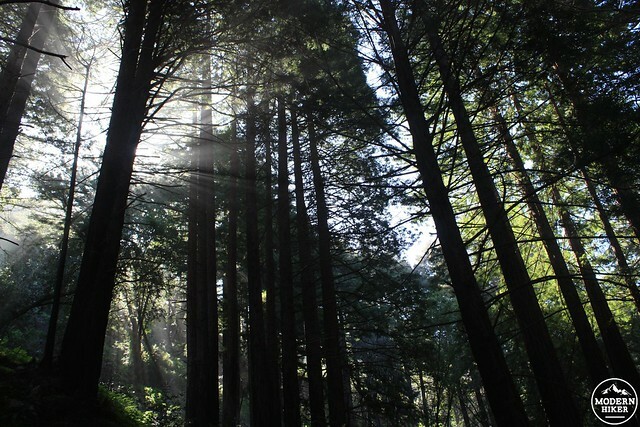 If you’ve timed it right, you might get to see the park in its Golden Hour – when the mist from the coastal marine layer is still burning off in the redwood forest, creating unbelievable sunbeam and shadow sculptures hanging between the trees. I was lucky enough to catch this on my hike out – and I ended up spending a lot more time on the trail than I probably would have otherwise. 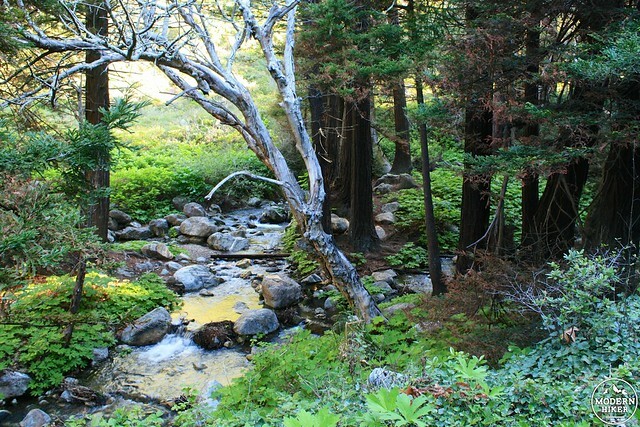 Limekiln is a tremendous way to experience the beauty of Big Sur and it’s a park not to be missed. 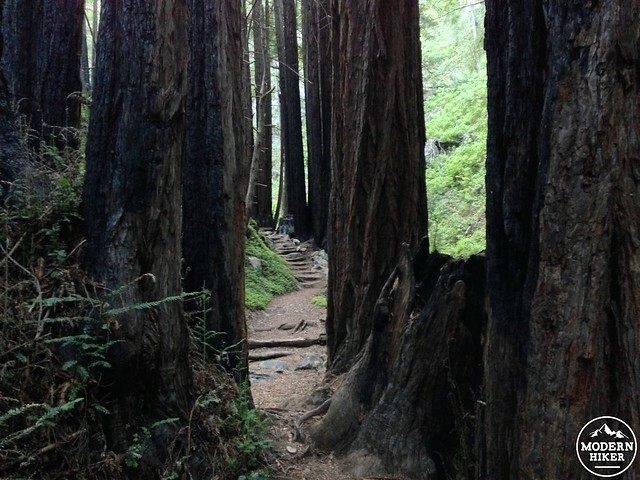 The trails in Limekiln State Park are in very good condition and are mostly well-signed. 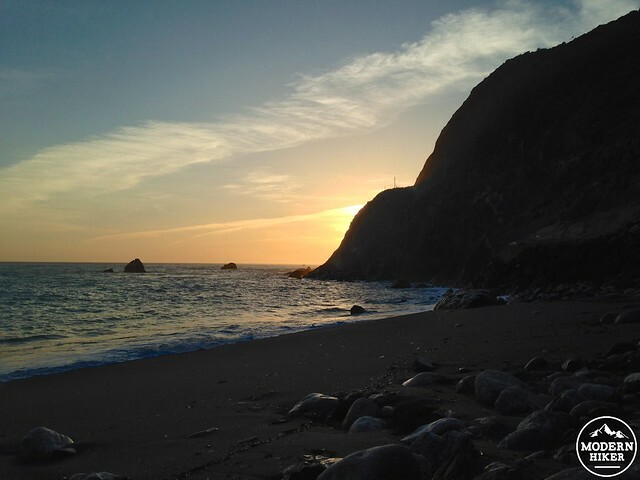 Limekiln State Park has about a dozen developed campsites, including some with ocean views. There are flush toilets and hot showers, and reservations are recommended FAR in advance of your trip. 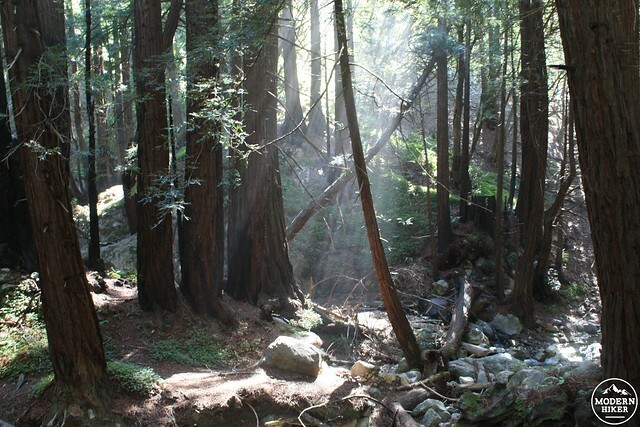 Limekiln State Park is on the California One about 79 miles north of San Luis Obispo and 56.7 miles south of Monterey. The turn-off on the east side of the road is very nondescript and easily missed because it descends away from the highway so quickly, so keep your eyes peeled. The entry gate is locked at sunset. You're going to have a wonderful time! 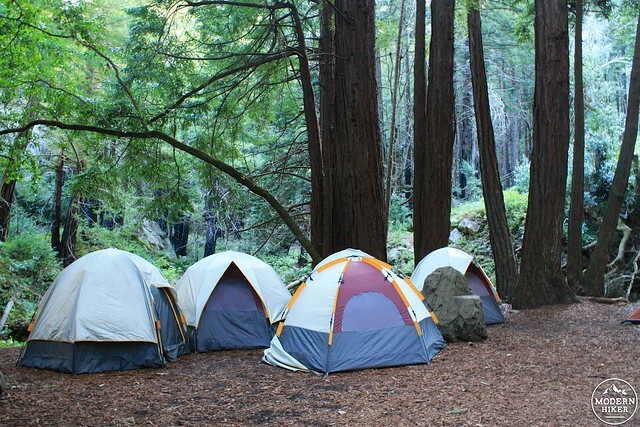 Book that campsite soon! 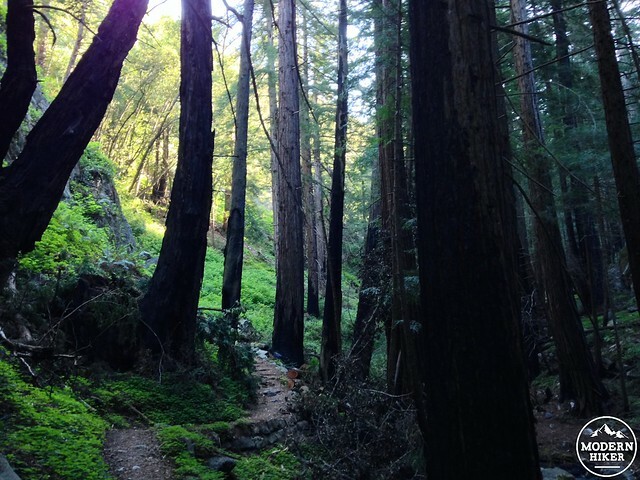 So excited to camp Limekiln this summer, this write up inspired me, Thanks !! Great write-up, gorgeous place, and really nice pictures. 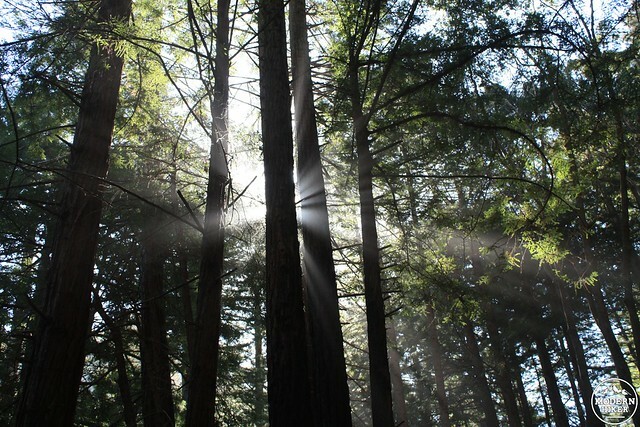 Just curious: Have you ever thought about adding Big Basin State Park to the long and surely ever-growing list of places to visit? Sort of in the same ballpark as Limekiln.